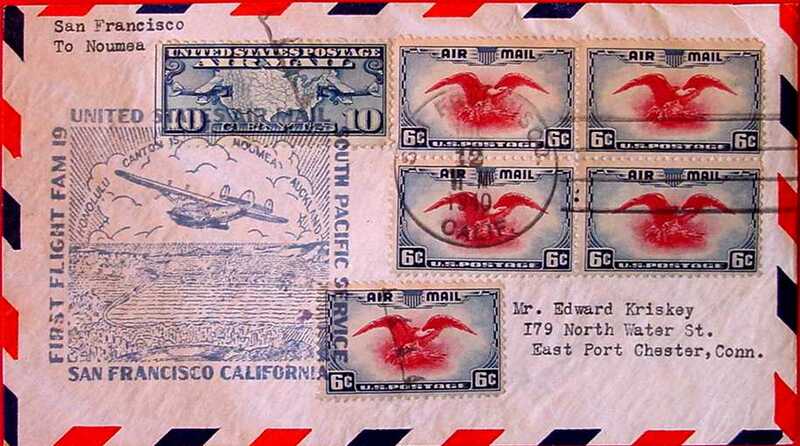 This page presents some images of stamps and covers produced for the Pan American flying boat service across the Pacific. 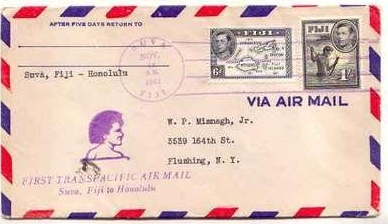 In June 1940 PanAm extended its service from San Francisco to Los Angeles to Honolulu. . A month later, the first regular air mail flight to New Zealand occurred along the route San Francisco---Los Angeles--Honolulu--Canton Island--Noumea (New Caledonia)--Auckland. 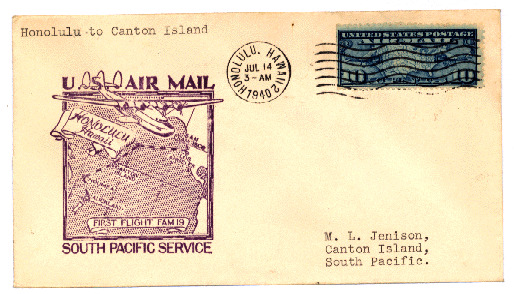 In late 1941, just before the outbreak of the Pacific War, PanAm swapped Suva (Fiji) for Noumea and began a passenger service. 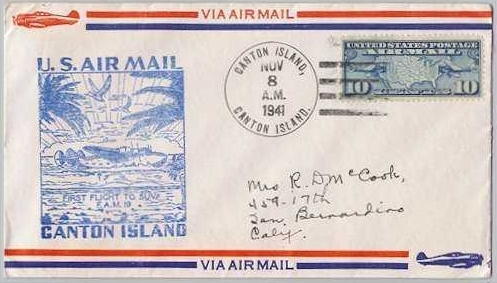 Cover from San Francisco to Noumea (New Caledonia), postmarked San Francisco12 July 1940, backstamped Noumea16 July 1940. 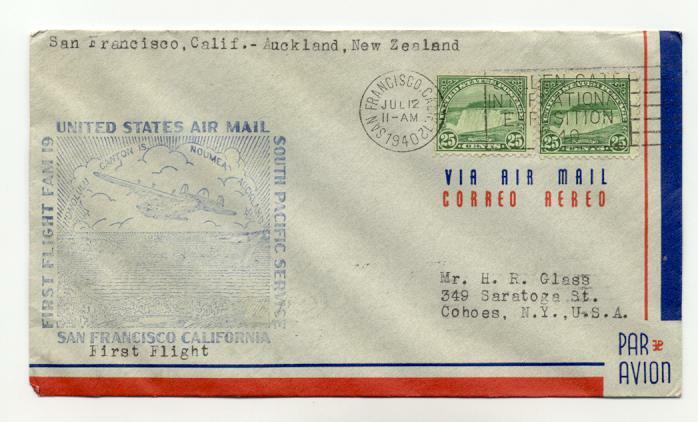 Cover from San Francisco to Auckland (New Caledonia), postmarked San Francisco12 July 1940. 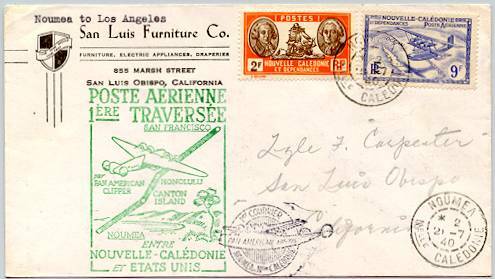 Cover from Los Angeles to Noumea (New Caledonia), postmarked Los Angeles 12 July 1940. 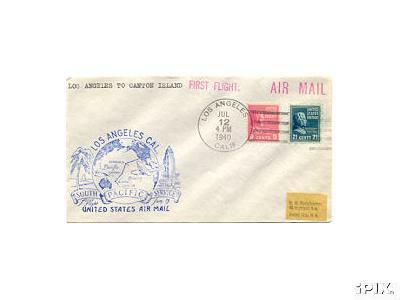 Cover from Los Angeles to Canton. 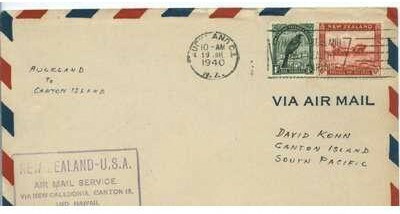 Cancelled Los Angeles 12 July 1940. 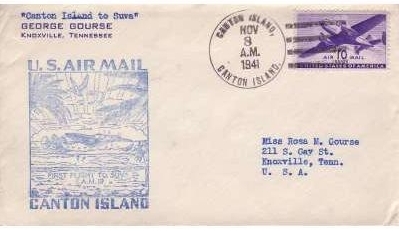 Cover from Honululu to Canton. 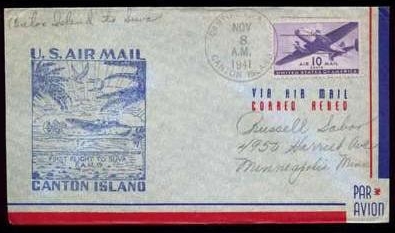 Cancelled Honolulu 14 July 1940. 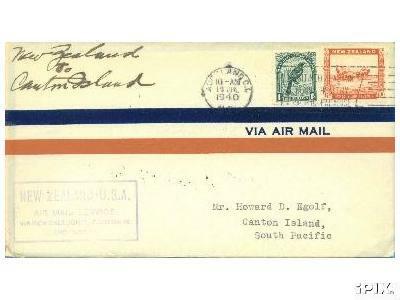 Cover from Honululu to Auckland. Registered cancels on rear at Honolulu Hawaii on Jul 14, 1940 & Auckland NZ on Jul 18, 1940. 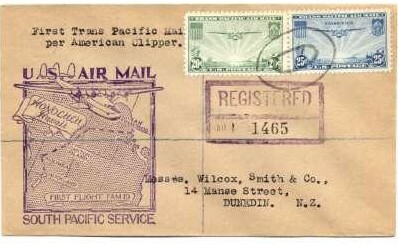 Cover from Auckland to Canton, postmarked Auckland 19 July 1940. 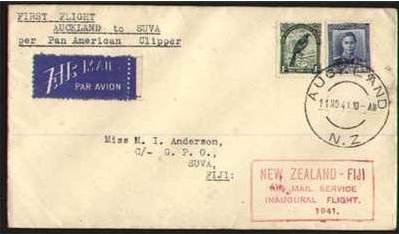 Cover from Auckland to Canton, postmarked Auckland 20 July 1940. 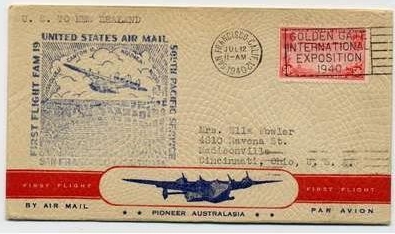 Cover from Auckland to San Francisco, postmarked Auckland 12 July 1940. 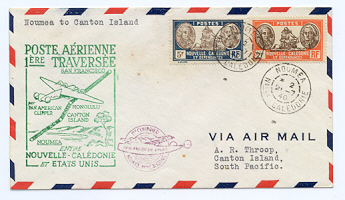 Cover from Noumea to Canton, postmarked Noumea 21 July 1940, backstamoped Canton 21 July 1940. 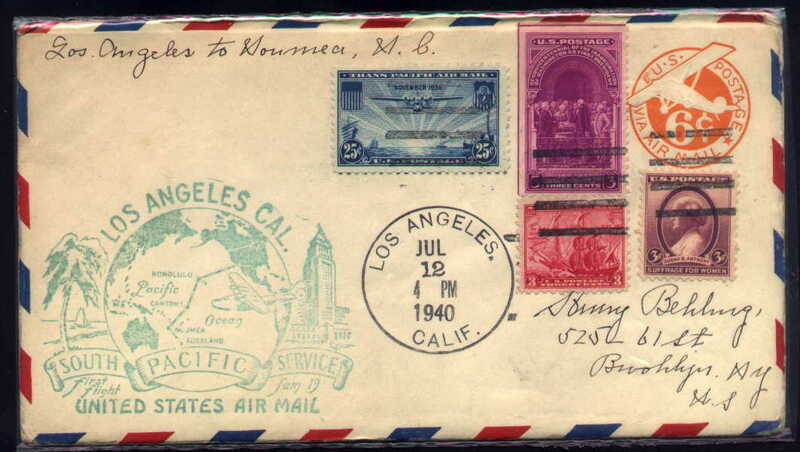 Cover from Noumea to Los Angeles, postmarked Noumea 21 July 1940.